If you’re like our family, one of the most important parts of camping is the food. You want to enjoy a delicious meal, but don’t want to have to put a lot of work into it. After all, when camping the key to a GREAT trip is spending lots of time with family and exploring the great outdoors. You don’t want to spend too much time in the kitchen. Enter these 3 affordable chicken recipes that you’ll enjoy preparing and eating! In a small bowl whisk the peanut butter, honey, teriyaki sauce, and chili sauce. Use part of the sauce as “pizza sauce” and the other part to marinate the chicken. Grill your chicken and shred. After spreading the sauce on the crust top with chicken, carrots and cabbage and cook thoroughly. In a large bowl combine the above ingredients. Let cool for several hours and enjoy on Hawaiian bread rolls. Combine mustard, honey, and orange juice in a bowl and let chicken marinate for at least 30 minutes. Cook on a hot grill thoroughly and enjoy with your favorite vegetable and a baked potato! 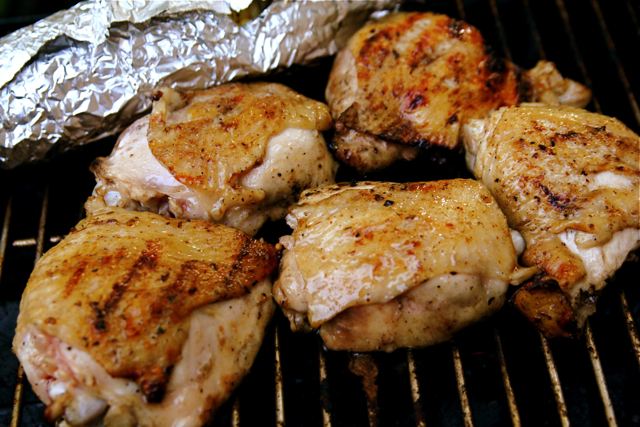 Chicken is often referred to as a “boring” meat with little flavor and a dry texture. With these meals you can spice up boring chicken and watch your family enjoy it so much they’ll be asking for seconds. And, the best thing about these meals is they require very little ingredients, store easily, and can be made as extras and frozen for enjoyment later on. What are some of your favorite chicken dishes? Share with us on Google+.